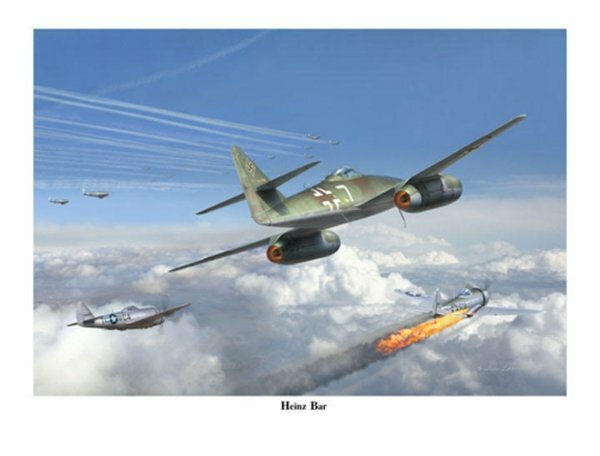 Luftwaffe ace Heinz Bar had 220 victories to his credit, 13 of which were achieved while flying the Me-262 with JG44. Among his final victories were a pair of P-47s on the 27th and 28th of April 1945. Sheet size: 27 x 20"